The Avaya Definity Callmaster IV Phone is only compatible with the Avaya Definity Telephone system, and is not suitable for home use. 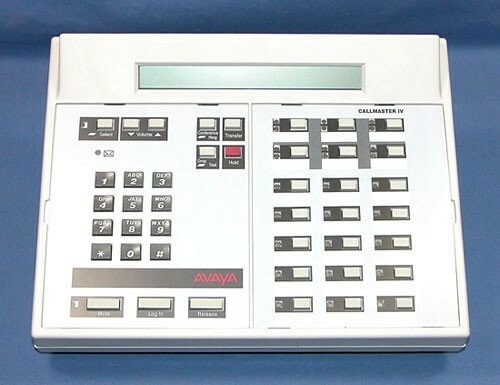 The Avaya Definity Callmaster IV is a traditional design Digital Voice Terminal designed specifically for high volume call center use. In addition to the array of classic and advanced call handling features, the Callmaster® IV boasts a dual headset jack for live call supervision, a built-in recorder interface module (RIM) to record and monitor agent calls, and a large display with multi-line scrolling for real time VuStats data. The Avaya Callmaster IV is Headset Compatible. It requires a Plantronics P10 Amplifier to connect to it, then any H Series Plantronics Headset. The Avaya Definity Callmaster IV Phone (Avy-CM-4) is only compatible with the Avaya Definity Telephone system, and is not suitable for home use.